We’ve written about this is the past, but it’s recently made the headlines again and always worth having a reminder. Under UK legislation, all employers must pay their staff the hourly National Minimum Wage, it doesn’t matter what industry sector you work in, the bottom line is the same. If Employers are found guilty of underpaying their employees and not meeting the minimum wage it can result in a difficult and expensive situation, alongside negative PR and an unhappy workforce. You’d think, “right that’s it, I’ll make sure I pay that” but sadly it’s not plain sailing and as straightforward as many employers would want it to be. Think you’re paying the Minimum Wage? It’s worth double checking. Employees have the right to claim for hours which haven’t officially been allocated. For example, a Gym Instructor that is required to turn up to a shift 10minutes before their start time to prepare and setup the room, or a Sales Assistant that stays behind after their shift to clear up/cash up – these extra hours add up and some employees might not get paid for them – which isn’t legally correct. There’s a fine line and employers need to be careful and ensure calculations are correct and employees are paid for their full ‘working hours’. Another area where employers can underpay their staff unknowingly, is uniform deductions, where money is taken out of an employee’s wages to cover their uniform. The fairest and simplest way to avoid a breach here, is to offer a separate Uniform Allowance. It’s the retail sector that has been hit the hardest and undergone many investigations by the HMRC. The consequences for not paying your employees the National Minimum Wages are many and can result in a tribunal claim, investigation by the HMRC, fines, negative PR and high turnover of staff. 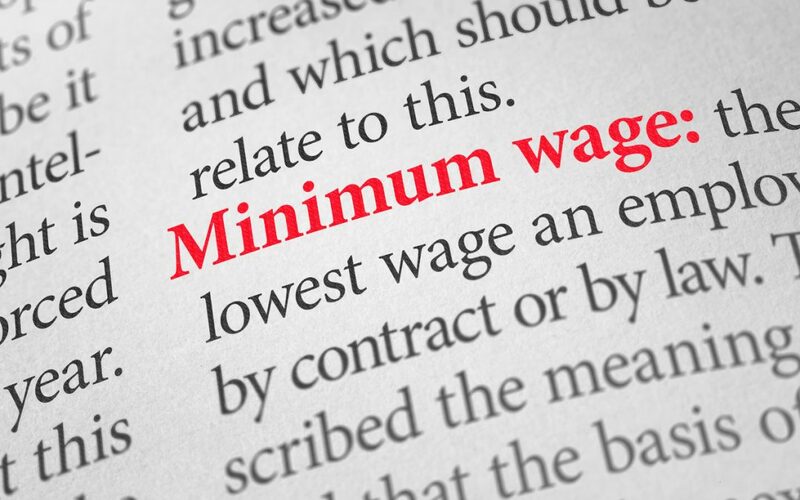 In July 2018, a few local Gloucestershire & Bristol large retail businesses were named and shamed as being employers who were not paying the minimum wage. The HMRC has the power to enforce an investigation into companies which are suspected, through the number of complaints and this ‘naming and shaming’ technique is cascading fear into employers and aims to improve the situation. Ensure those staff aged 16-25 are reviewed and they are being paid in the correct category – have a reminder system in place. Or consider using a software which will automatically remind you of this information, our sister company; CitrusHR can help here and provide you with a demo of their sophisticated HR Software. Each April, be sure to make amends if required. Offer a Uniform Allowance if a uniform is required. Carefully account for those additional 10minutes here and there and if required, work those hours into your employees contract.